I am so exited to team up with Anastasia a consultant for Plunder Jewelry today to show off a fun jewelry brand and give a few things away! So first a little bit about Plunder and Anastasia. Plunder is a fairly new direct sales company that's growing at an amazing rate! Anastasia has been a consultant for Plunder for a little over a year. Plunder helped her through some rough times she has experienced in the last year. Both financially and with the support system she has built along the way. There are currently approx. 5,000 stylists across the country and about 500 more are added monthly! Now let's chat about the fun stuff! The jewelry! As far as the jewelry goes the vintage charm and the pricing make it the perfect addition to your wardrobe. Prices start at just $8. 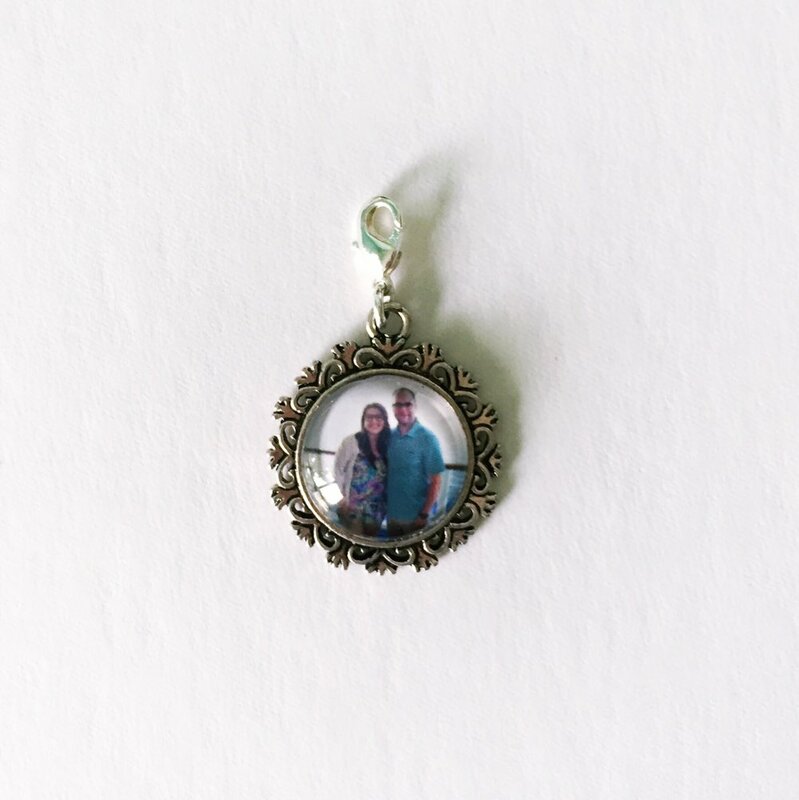 They even offer custom pieces like photo charms. Items range from inspirational to trendy, but all offer that touch of vintage charm. Even the packaging carries their style through which is so important when gift giving. 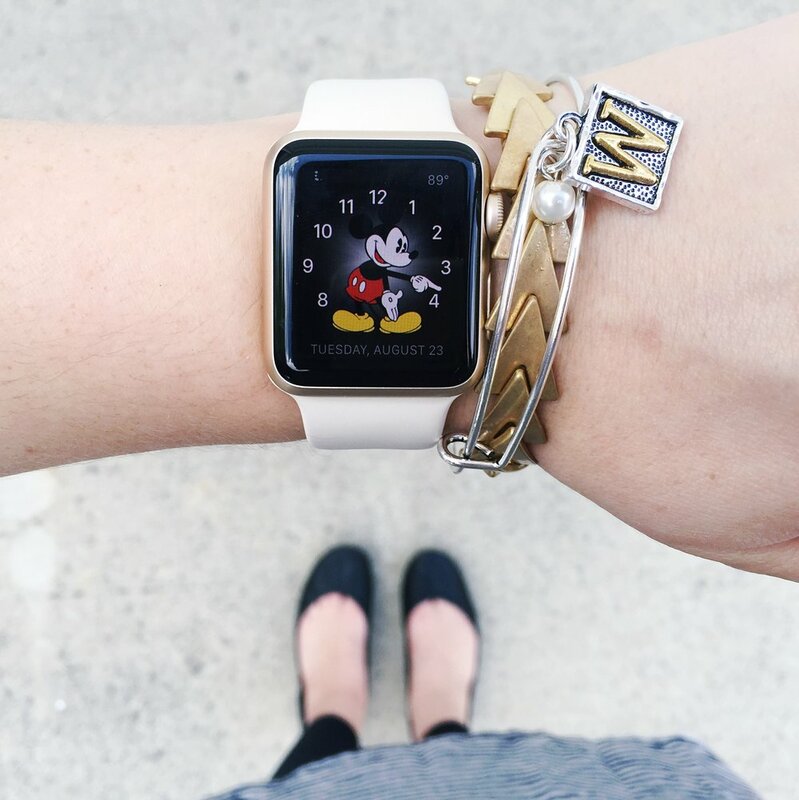 I am in love with this arm party Anastasia put together for me. 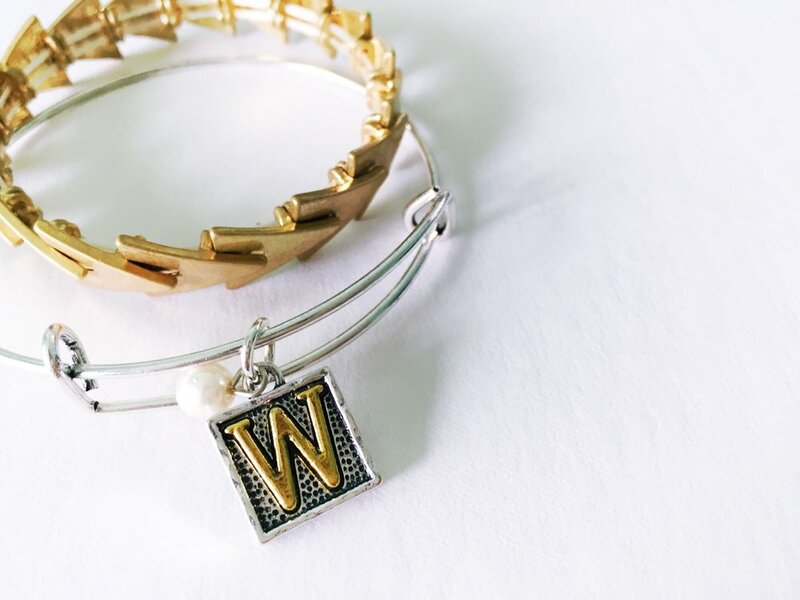 The initial bangle mixes silver and gold with a pearl dangle and the stretch arrow bracelet is the perfect accent. I love that the bangle is adjustable, and the arrow bracelet is stretchy so it will fit a wide range of wrist sizes. These bracelets are both under $20! I am usually not an earrings girl, but I love how light weight and fun these are! I especially love how the triangle dangles have a little sparkle to them. 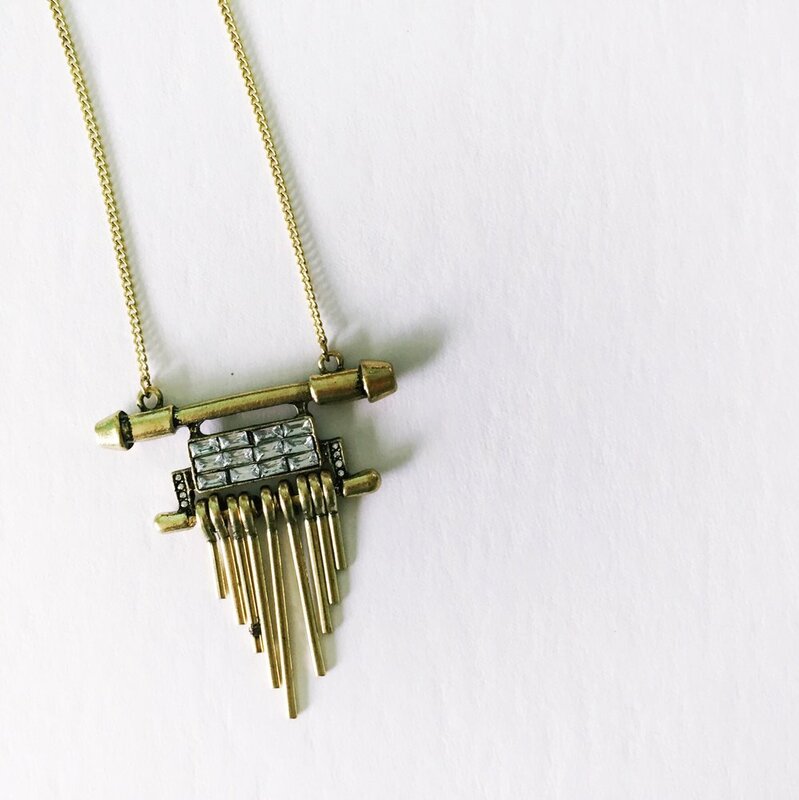 This long necklace is the piece I have found myself wearing the most. I love the uniqueness of it, and the little touch of sparkle. The dainty chain and the chunky pendant make it the perfect layering piece. How adorable is this birdhouse pendant, even though this isn't in stock anymore Anastasia was kind enough to send this to me as it was a favorite piece of many! I plan on gifting this to my Mom because she loves little birdies! Throughout the week I will be sharing some fun styled looks using my Plunder pieces on my Instagram and adding them to this post as well. Want to have some jewelry fun of your own? Thinking of becoming a Plunder Consultant, it's just $99 to join and that includes all marketing materials, catalogues, thank you cards, ect. Contact Anastasia for more info!